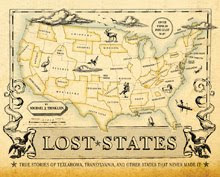 Lost States: Maine to split? 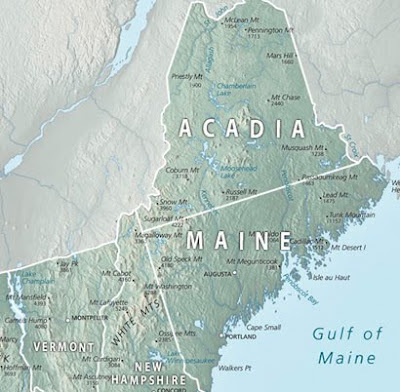 There is a new push in the Maine legislature in the last few days to split the state into two states. The guy behind the proposal is Henry Joy, whose ideas are outlined in "Lost States" (He pleads his case every few years or so.) This time, Mr. Joy has a map--and it's remarkably similar to the one we created for the book (see above). Most folks think the idea is loopy, but Mr. Joy sure knows how to get press coverage... Here a few links: Fox news, Bangor News, Boston Herald.